Mr. Bordonaro practices exclusively in workers' compensation, with emphasis on representing employers and insurance carriers. He is a member of the Pennsylvania Bar Workers' Compensation Section and the Pennsylvania Defense Institute. He also serves on the Erie County Bar Association Workers' Compensation Committee and has served on its Legal Education Committee as chairman. Mr. Bordonaro has recently been appointed to serve on the advisory panel for the Pennsylvania Bar Institute's workers' compensation section. This panel is dedicated to the planning and presentation of the section's two-day seminar held in Hershey, Pennsylvania each year. Mr. Bordonaro is also a member of the American Bar Association. He was elected effective January 1, 2013, to serve as a Fellow in the National College of Workers' Compensation Lawyers. This distinction is extended to workers' compensation lawyers who have practiced at least 20 years in the field and who have excelled in the profession. Mr. Bordonaro was certified as a workers’ compensation specialist by the Pennsylvania Supreme Court in 2013. He was selected to the 2018 list of Pennsylvania Super Lawyers. 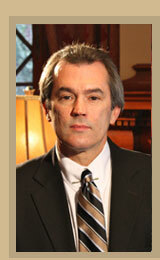 Mr. Bordonaro is a graduate of Slippery Rock University and a 1983 graduate of the University of Akron School of Law. While in law school, he was a senior staff member of the Akron Law Review. While at Slippery Rock University, Mr. Bordonaro was a member of the basketball team. He enjoys coaching basketball and baseball. He has coached young women and men at all levels and is a certified AAU high school basketball coach. His high school boys' basketball team qualified for nationals for two consecutive seasons. Mr. Bordonaro has also served on the Planning and Allocations Division of United Way of Erie County, was a liaison for the Salvation Army and has been a member of the Children's Services Advisory Board. He is currently a member of the Board of Directors for the Erie Redevelopment Authority. Mr. Bordonaro is admitted to practice before the Pennsylvania Supreme Court, the United States Court of Appeals for the Third Circuit, and the United States District Court for the Western District of Pennsylvania. He regularly appears before the Workers' Compensation Judges in Northwest Pennsylvania, as well as the Workers' Compensation Appeal Board, the Commonwealth Court, and the Supreme Court. Mr. Bordonaro handles workers' compensation subrogation issues, as well, in the common pleas courts. He also handles heart and lung claims for municipal and city employers, which involve claims brought by police officers and firefighters under the Local Administrative Agency Act. He has made presentations and participated in seminars on these and other subjects before a variety of professional organizations, including the American Bar Association, Pennsylvania Bar Association, the Erie County Bar Association, and the Pennsylvania Manufacturers' Association. His presentations have been approved for Pennsylvania Continuing Education credits.